BACK TO THE JUKE JOINT! The Screamin’ End made a pilgrimage from Chicago to Memphis, Tennessee, to record at Sun Studio, where the spirit of Elvis Presley, Jerry Lee Lewis, Carl Perkins and all the other great performers can still be felt in the recording studio. Their pictures grace the walls, the microphone that Elvis recorded with is still there, the piano Jerry Lee rocked and Scotty Moore’s guitar. 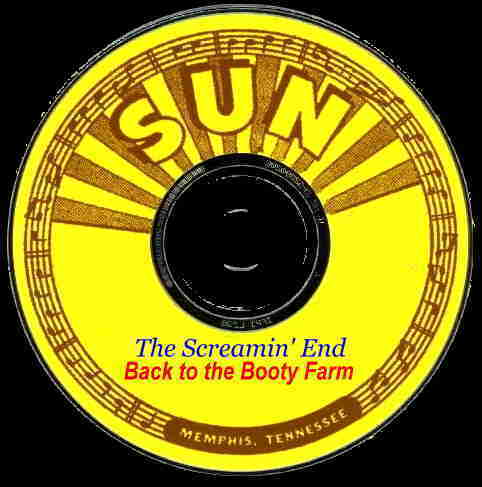 The spirit of all the great Sun recording Artists permeated the atmosphere of this legendary studio and inspired the music that was recorded on their “Back to the Booty Farm” cd. Each musician is an experienced performer with exceptional stage presence. Promo Kit with CD Audio and/or Video available upon request.